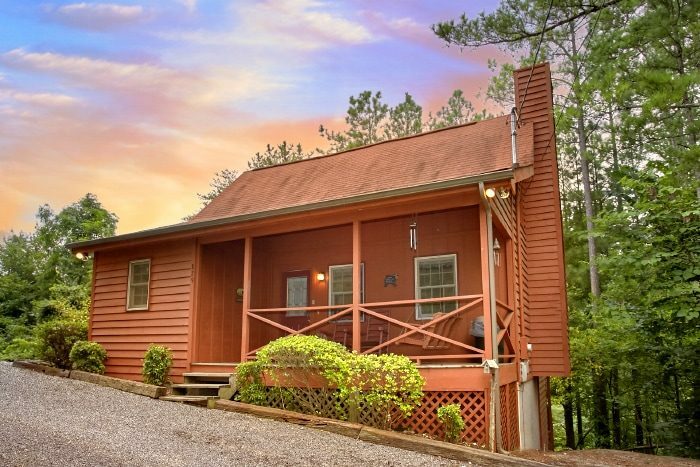 Discover "B & D Hideaway," a cozy 2-bedroom cabin close parkway attractions and shopping in Pigeon Forge. 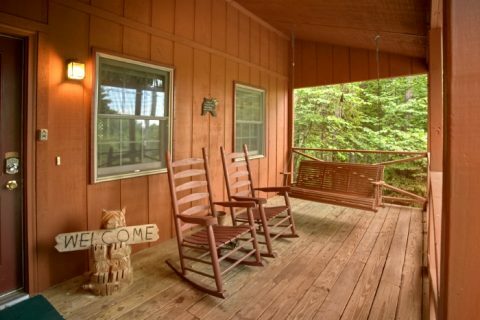 Located only a short drive from Tanger Outlet, this cabin is perfect for guests planning to enjoy a shopping excursion (or two) in the Smokies! 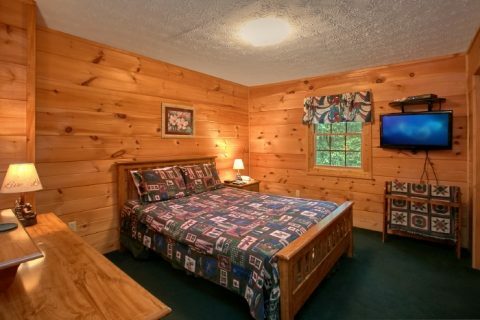 Your Smoky Mountain cabin near Pigeon Forge sleeps 6 guests and comes with all the comforts of home! 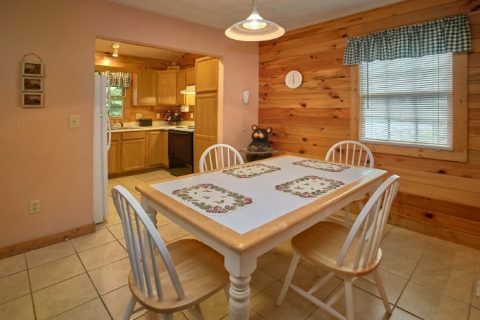 Not only does your two-bedroom cabin keep you close to the seemingly endless attractions, restaurants, and shopping on the Parkway, but it also offers guests a peaceful, wooded setting and great cabin amenities that are bound to please your family or group. 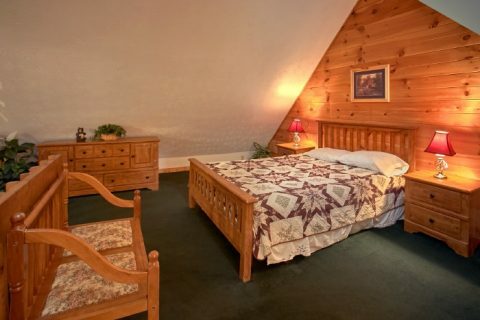 After a great day of exploring attractions in the Smokies, you can look forward to getting a great night's rest in this cabin's two queen-size bedrooms with full baths. 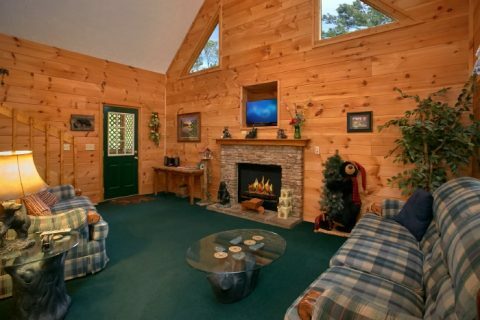 For additional sleeping space, there is a sleeper sofa in your cozy living room with a fireplace that is great for kids. 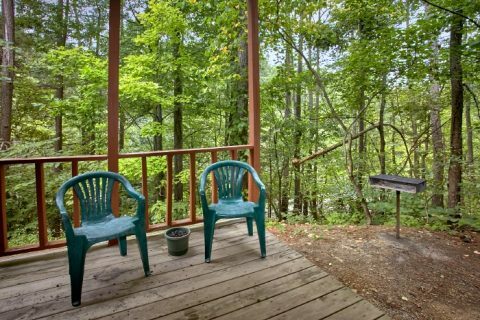 Wake up to a beautiful day in the Smoky Mountains and enjoy a cup of coffee from your cabin's back deck. 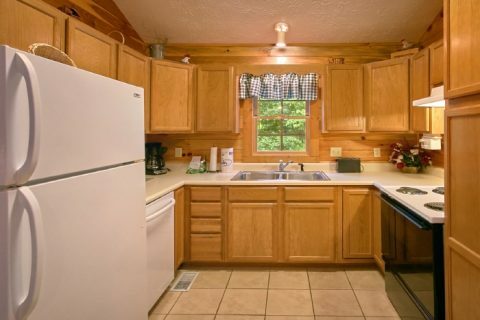 For a delicious lunch, why not make some tasty burgers with your cabin's charcoal grill and full kitchen with a dining area. 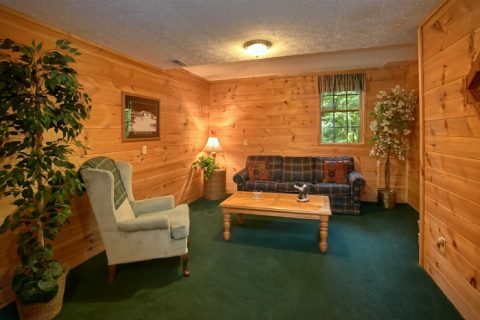 In the living area, you can keep warm by a seasonal fireplace and watch your favorite shows on a television set. 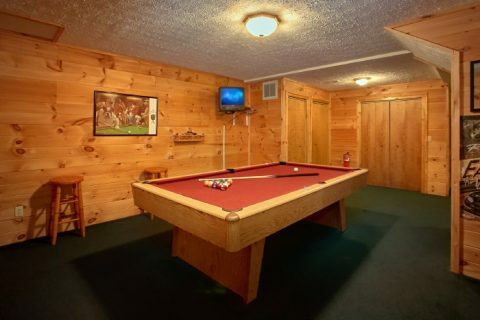 For more fun and relaxation, this cozy log cabin comes complete with a pool table and a hot tub on a screened-in porch to keep nature's pests at bay. 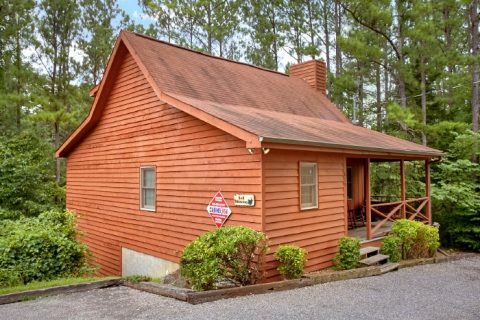 For a cozy, log cabin you won't soon forget, book "B & D Hideaway" and stay conveniently close to Pigeon Forge and other sights in the Smoky Mountains. 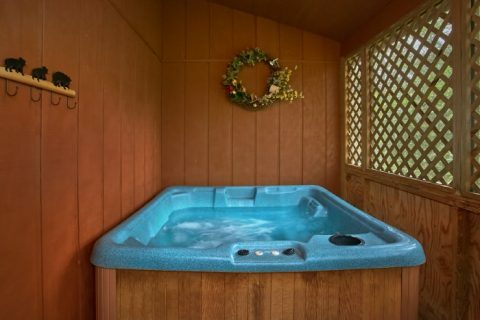 With Cabins USA Gatlinburg, you will earn our 15% discount and save on your vacation lodging in the beautiful mountains of Tennessee!